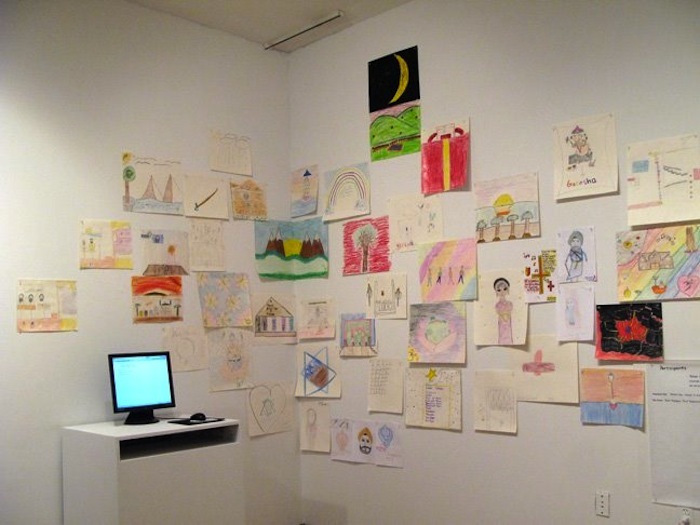 A group of elementary-age children were be invited to join the artist on trips to several religious sites and make drawings of what they see at these sites, without the direction of adults. 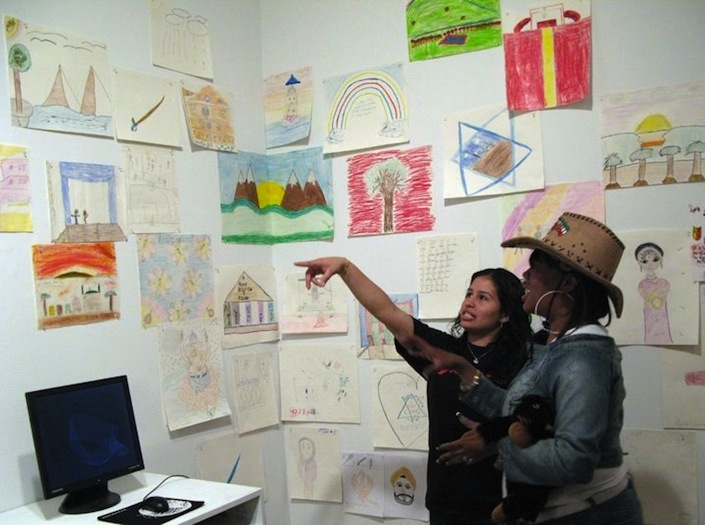 Horisaki then collected these drawings, separating them out into groups according to what site they were from, and presented them to the Queens Teens, a group of teenagers at the Queens Museum who are learning about art professions and interpretation. Without any indication as to what religion each set of drawings depicts, the older students examined the drawings and used them as the base from which to design the interiors of five booths that represented these five religious communities, namely Buddhism, Sihksim, Islam, Christianity, and Judaism. 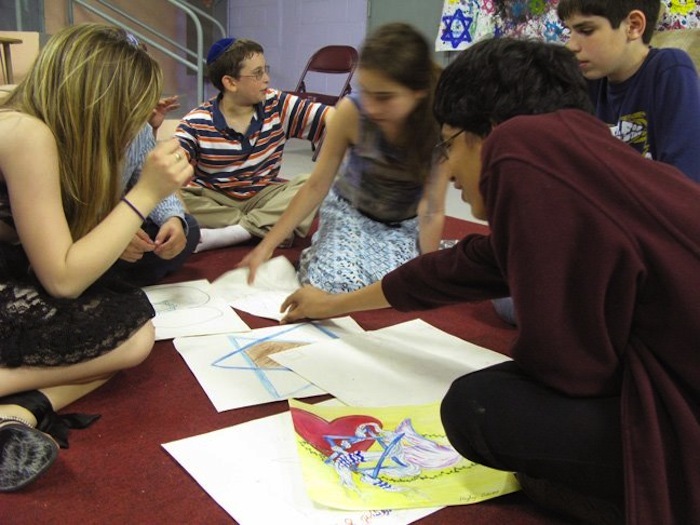 The older group of teens were split into groups to then learn about one of the five religions by meeting directly with both the children whose drawings they attempted to interpret and religious leaders representing these communities. 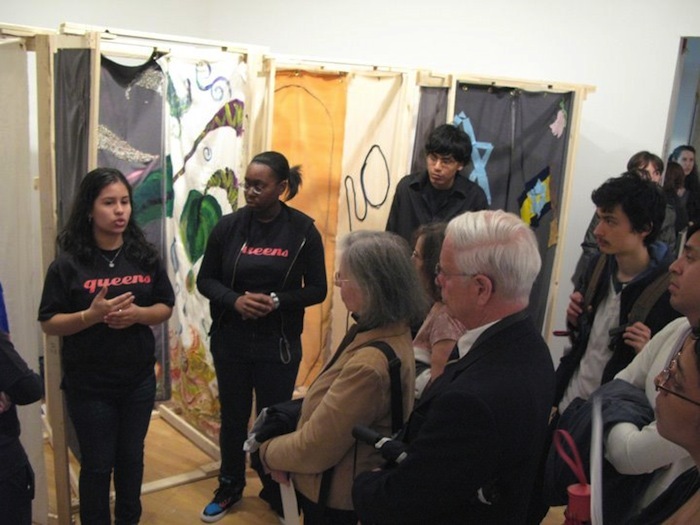 The booth were displayed alongside the children’s drawings and during the opening event, the Queens Teens served as docents for the work, explaining the process of the project, their initial impressions, and what they learned through the interactions with community members. 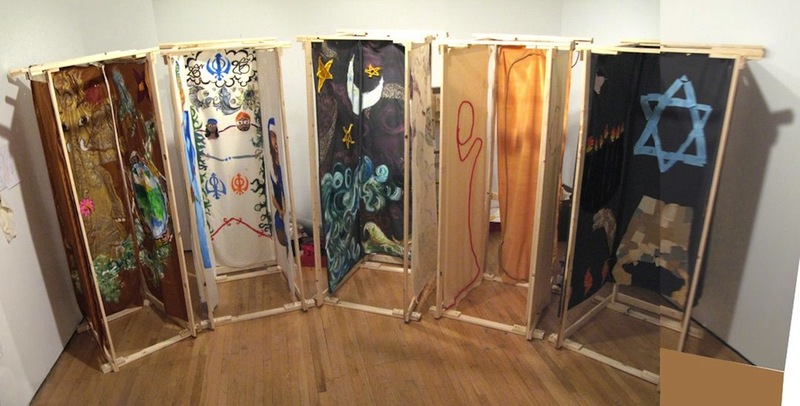 The project also included a blog that followed the progression of the project, accessible within the exhibition. 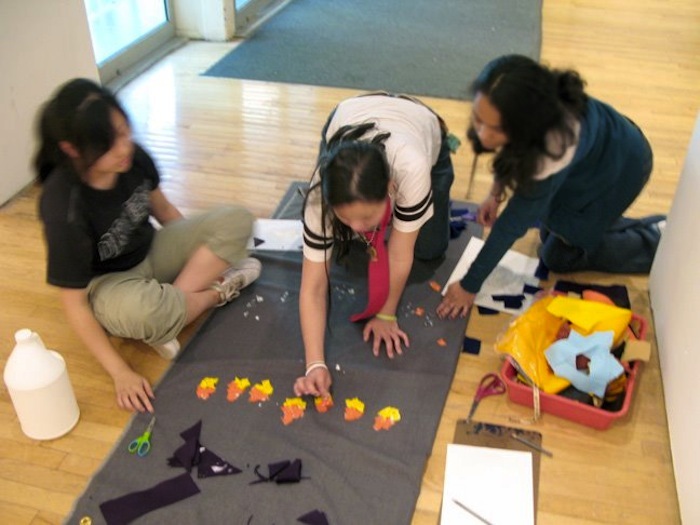 Queens Teens working on construction of booths based on kids' drawings at Queens Museum of Art. Queens teens discussing interpretation of kids' drawings with youth group at local Jewish temple.